The Double Mouth Rotator oven is one of the highest performing ovens available today. Designed to accommodate two chefs cooking simulta- neously. 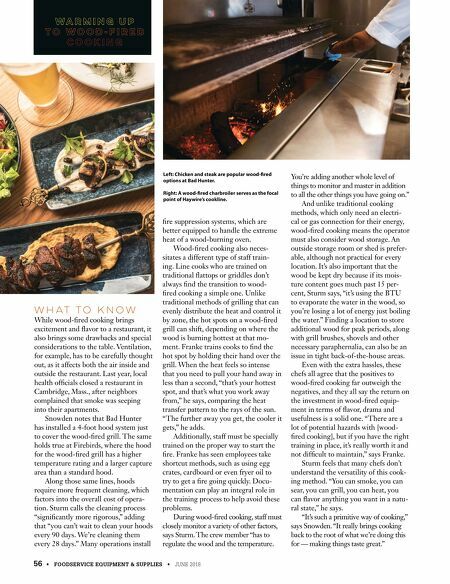 One chef can easily maneuver dishes in and out of the opening in a restaurant's bar area, while another chef operates the oven from inside the kitchen. The innovative touchscreen technology gives you control of crucial functions such as temperature, deck rotation, speed, auto on/off and the integrated ventilation system . 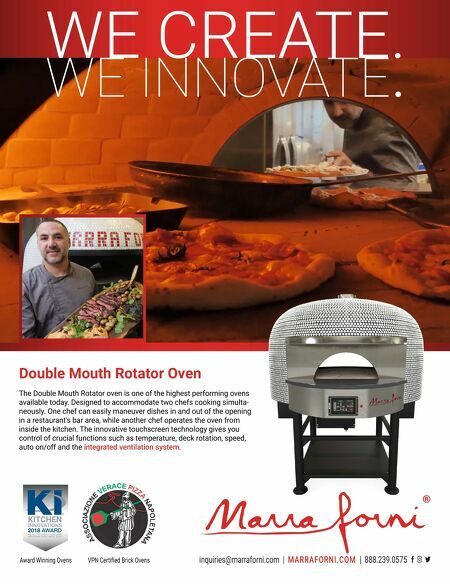 2 018 AWARD N ATIONAL RES TAURANT ASSOCI ATION RESTAURANT, HOTEL-MOTEL SHOW KITCHE N INNOVATIONS Award Winning Ovens VPN Certified Brick Ovens Double Mouth Rotator Oven inquiries@marraforni.com | MARRAFORN I.C OM | 888.239.0575 WE INNOVATE . WE CREATE.